We really enjoy performing throughout the year and this year has been an unusually busy one, with wide variety of high-profile events including a triple-header performance for Canada Day in Cochrane, a segment CTV Television to promote Omatsuri 2015, solo Odaiko performances with the Calgary Opera for their week-long run of “The Mikado”, a combined music video and live performance on the ice for the Calgary Flames 2015-16 Home Opener, as well as holding workshops for the University of Calgary, the Calgary Board of Education, and several junior high schools. We performed at a total of 24 different events and worked very diligently to ensure we put on engaging and exciting performances. Everyone in the group plays Taiko as a hobby and spends significant amounts of free time rehearsing and performing, all for the sheer love we get from Taiko drumming. Considering how busy we all are with our personal lives, crazy schedules, families (and families schedules! 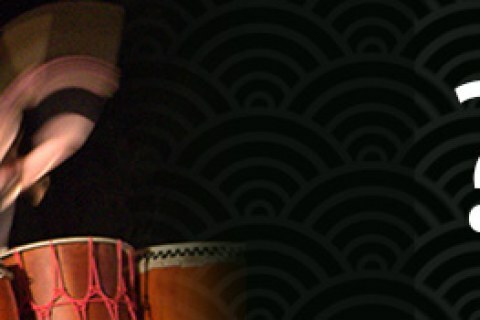 ), we have a very dedicated group of passionate Taiko drummers so a huge Otsukaresama deshita! This Fall we held longer, more intensive workshops than we have in the past. We found that the 1-day workshops we normally hold each year wasn’t quite enough time to give a really solid foundation in Taiko drumming that the participants wanted, nor enough time to instill a deeper appreciation for Taiko or learn the numerous various facets of the art, so we decided to extended them to a 3-week Beginner and a 3-week Intermediate workshop. Based on how quickly the workshops filled up and the feedback from the participants, the extended workshops have been a great success! Spending 3-weeks to learn Taiko really generates a bond between the students and instructors and helps the student gain a much deeper understanding of Taiko, as well as enjoy their learning time as well. The participants enjoyed it so much that over 80% of the participants enrolled in the Intermediate workshop had also taken in the Beginner workshop for a combined total of 6-weeks of Taiko drumming. We will continue to use this format in the future so keep an eye out on our workshops page for upcoming dates. This year we are pleased to welcome five new Apprentices into the group: Karen, Brenda, Holly, Tahra, and Marty. For the past few months now they have been studying different techniques with a different instructor every few weeks, honing their skills learned during the workshops, learning more about the group and getting to know the members, learning the group’s repertoire, and gaining a well-rounded view of all the different styles of Taiko and the Taiko community in general. They are showing a lot of potential and we’re excited to see how far they go on their Taiko journey. We hope to have them show-ready for this Summer so keep an eye out for their first performances and appearances over the next couple of months. We are very excited to include our newest addition to the group – a brand new 35″ (90 cm) Hira Daiko! It will be the group’s biggest drum and we have been looking forward to having it in our ensemble for many years. We’ll be including it in our performances very soon so look forward to seeing, hearing, and feeling it, along with other new types of Taiko drums at our performances next year. We’ve updated our logo to a more modern, sleek-looking design to signify the growth and changes that the group has been going through. We stayed with our roots a bit and incorporated the mountain “M” from our old logo into our new logo. We hope you enjoy the new branding and that you’ll be able to recognize us more easily at our performances around Calgary with our fresh, new look. We are looking forward to many more high-quality performances for this upcoming 2016 season, including our joint “Drums of the Dragon” Concert with the Calgary Wind Symphony on June 12th, 2016. Next year is also the 10-year Anniversary for the group so we will also be working on an exciting solo Midnight Taiko Concert for next year’s 2016/2017 season. 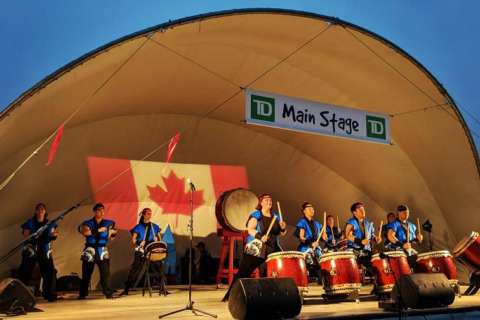 We’re also looking forward to performing at many more events and school workshops, as well as attending Taiko workshops in California, B.C., and Japan to further our growth as we continue to improvement, further our passion for drumming, become a greater part of the wider Taiko community, and spread our love of Taiko drumming to Calgary and beyond. 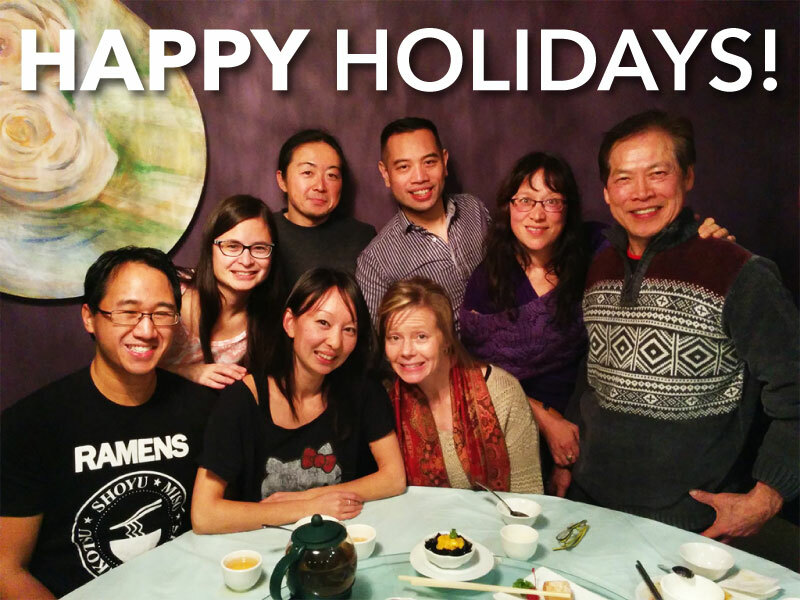 Wishing you all the best these holidays and we look forward to seeing you at our performances next year!